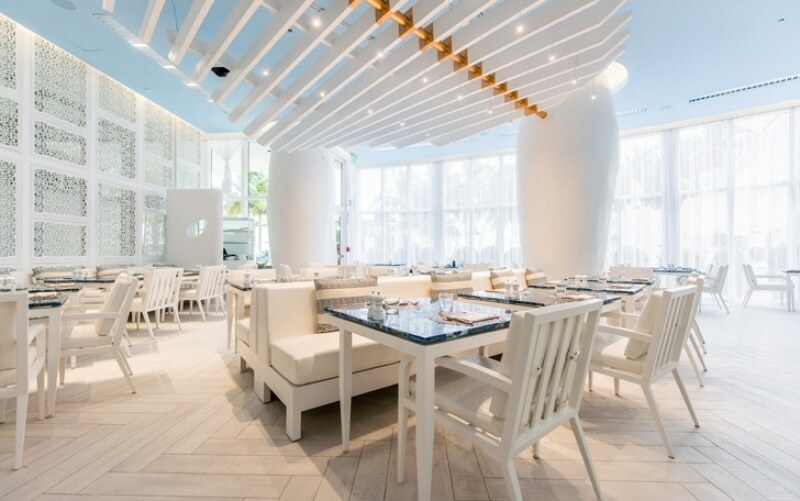 The St. Regis Bal Harbour has premiered this Greek oasis, Atlantikos, serving three meals daily, in the former Fresco Beach Bar and Grill as part of the 5-year-old resort’s $35 million rejuvenation. Nights of traditional, festive plate-smashing lead to grilled octopus with fava from Santorini ($19), langoustines fricassee in lemon-egg broth ($26), black-ink orzotto with langoustines, fried calamari and cured fish roe ($37) and rib-eye Corfu sofrito ($42). The Ionian Sea cocktail blends tsipouro, mastic liqueur, cucumber and basil ($14). 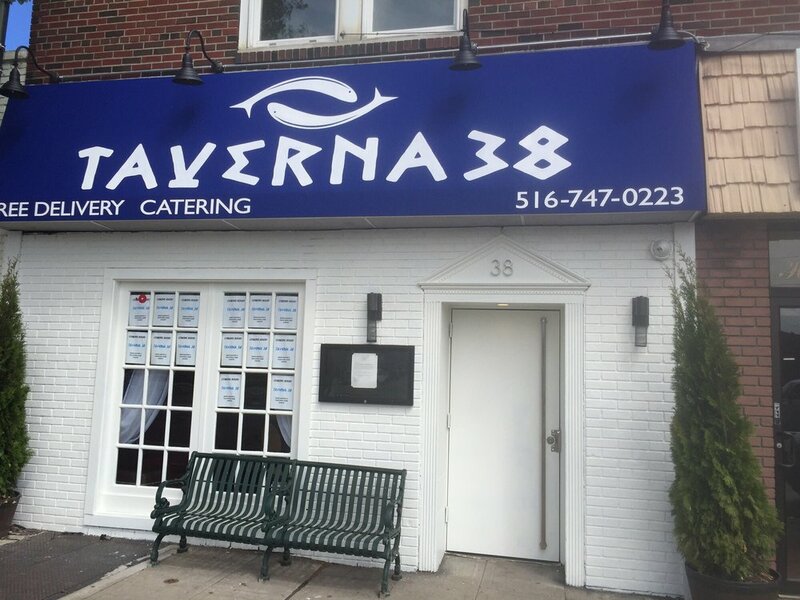 “We’re updating our menu to be more creative and go to phase two,” Nikiforou says. Musicians entertain nightly amid white-washed decor with massive mosaic columns, extravagant blue agate tables and counters, and trellises under a sky-blue ceiling — all emulating Santorini. Alfresco seating is poolside. OPA Thursdays features a family-style dinner with wine, beer and Greek musicians for $45 per person.